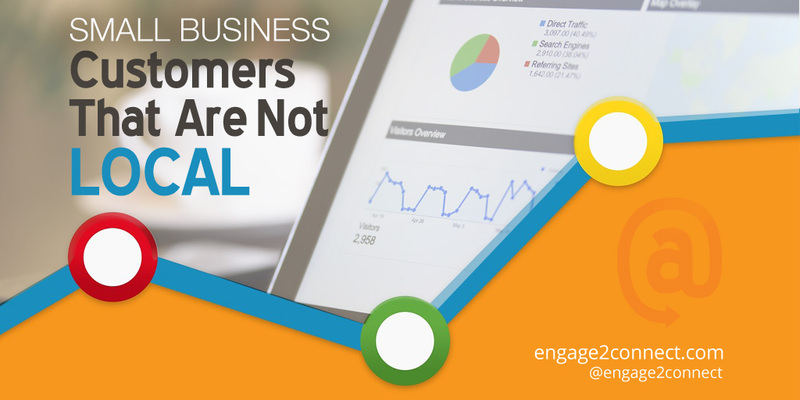 Research shows that many small business revenue does come from customers that are not local to your business. Tourists and visitors to cities all across America spend literally millions of dollars with local small businesses every single day. Thought these visitors do not live locally, they have a very real and direct impact on the sales and revenue for many local small business retailers and this fact should not be ignored. Recently, someone from the Local Search Association did a survey on one town and what the impact of out-of-town customers made on local business spending. In that single town, tourists spend about $3.9 million every day. No small chunk of change, right? The study reported by Search Engine Land also noted some other extremely interesting statistics about the effect of tourism and visitors on small business, such as the much higher spend per visit by out of town customers as compared to local residents. Also up to 33% of local search traffic and sales comes from these non-local customers. Clearly this is something that many small businesses are not taking advantage of, so let’s see if we can help with that. So how do you capture search traffic from visitors to your area? How do you increase your search ranking for out of town visitors to your city? Well it’s not magic, but it is however intentional and conscious. Here’s some steps to follow that will help you drive customers that are out-of-town. To begin with, you need to do some significant research. You want to dig deep to uncover the data that shows the top reasons that tourists and visitors come to your city or area. You need to understand with certainty whether the out-of-town visitors are coming for business travel, or maybe weekend getaways, vacation travel for specific sites or attractions, or even sporting events. Every city is different, so it is a must that you gather the information that points you to who is visiting your city, the reasons people come to your area and what people do when they visit your town. It is extremely important that you do not cut corners on this process. Don’t use your gut, personal knowledge about your city or common sense to determine this information. You need to find supporting data, research, surveys and studies that support factual information. Of course you can start that research online with multiple different search terms to uncover helpful information. You can also connect with local chamber of commerce, visitor centers and other local resources that may have already conducted these kinds of studies in your city. Just make sure that your findings are supported by as many 3rd party sources as possible and can be validated to be accurate. Once you have done an exhaustive research on your city’s tourism and out of town visitors, you will want to create a list of the reasons people tend to visit your area and then rank the topics by priority. You want to know the top reasons people visit first, followed by the less frequent reasons visitors come. This ranking of topics that detail the top reasons people visit your area, then provides you with the most important topics to research next. Knowing the top reasons people visit your city provides you with topics that you can research further. From a search perspective, you can put yourself in your customer’s shoes and determine several searches visitors to your city do when coming to your area. For each of the top reasons people visit your local area, you will want to create a list of 20-30 searches that visitors would likely make on Google or other search engines when or prior to visiting your area. Find the search terms that do not have very good content or good answers to your customers searches that you’d expect them to conduct. These are the search terms you will want to focus on! Now that you have done a lot of research on the reasons people visit the area your small business is located in and also the hundreds of typical searches local visitors would make when coming for that reason, you are ready to work on the final step; Creating content. For the top search opportunities in your local area you have uncovered, you will want to create new pages on your website. These pages should contain a title, page naming and content that only and specifically addresses the search term you are focusing on. Create pages that have the answers to their questions and that are in keeping with the top search terms you’ve uncovered. Be very specific about what you write and also be sure that your new website pages are written very well, contain images that support your topic, link to supporting information and websites and also contain at least 800-1500 words. For the lesser of the prioritized local search terms that you have uncovered, you will want to write weekly blog posts that address those local search terms and phrases. Just like pages, make them very specific and targeted to the questions that your out-of-town customers have and the needs they have while visiting your area. Be careful not to pitch your company too much within these blog posts or it can have a negative effect in the mind of your customer. Be helpful, provide answers and do it value. Become the best resource for visitors to your city with the content, answers and information they need to enjoy their stay. *NOTE: I hope you didn’t think this process was going to be simple or easy. The fact is, that it is NOT. But that is an advantage for your small business. Most of your local small business competitors do not know how to do this process and/or will not take the time to do so. Therefore, by going through these steps in detail, you will be creating a distinct advantage over your local competitors that have the ability to pay high dividends within your small business marketing. Great small business content that answers real questions wins in local search, so doing it incredibly well is key. Consistently adding new, fresh local content to your website and blog that focuses on the interests and questions visitors to your area have will provide new customers and increased revenue to your local small business. But it’s very important that you do not cut corners or do this process incorrectly, because doing it wrong, inconsistently or without really well written content can actually hurt rather than help you. Grow your out of town customer base by intentionally providing what they are looking for.